Create your report for FREE! Utilise social data to understand the audiences that matter most. 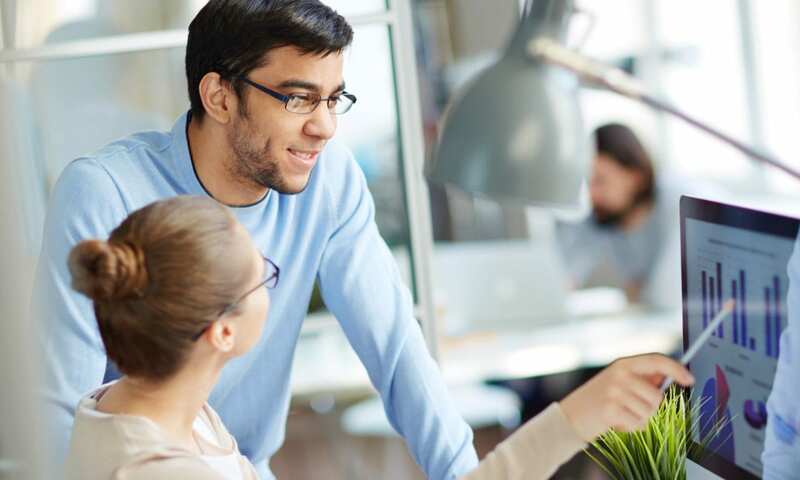 We empower organisations to intelligently engage individuals at an unprecedented scale. Audiense Insights allows you to identify and understand any audience, no matter how specific or unique it is. Effortlessly combine numerous filter options when you create a report, such as user profiles, affinities, demographics and job roles, creating highly personalised audience segments. 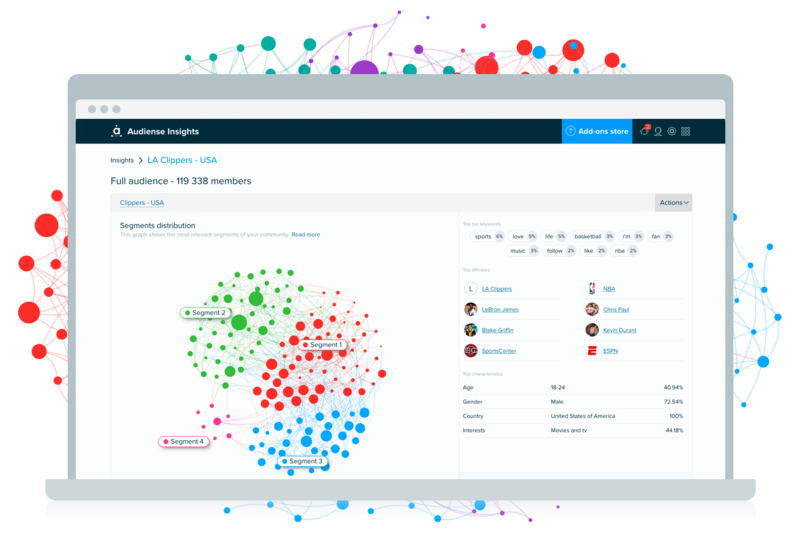 Audiense Insights applies machine learning to instantly understand who makes up your target audience, by analyzing connections between the people that shape it. 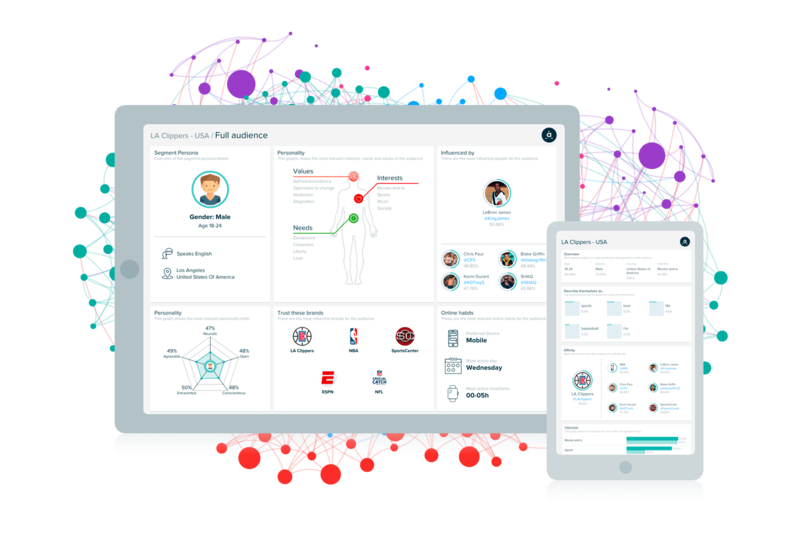 Go beyond traditional segmentation based on age, gender and location, now you can discover new segments based on people’s interests and understand your current target market on a deeper level. 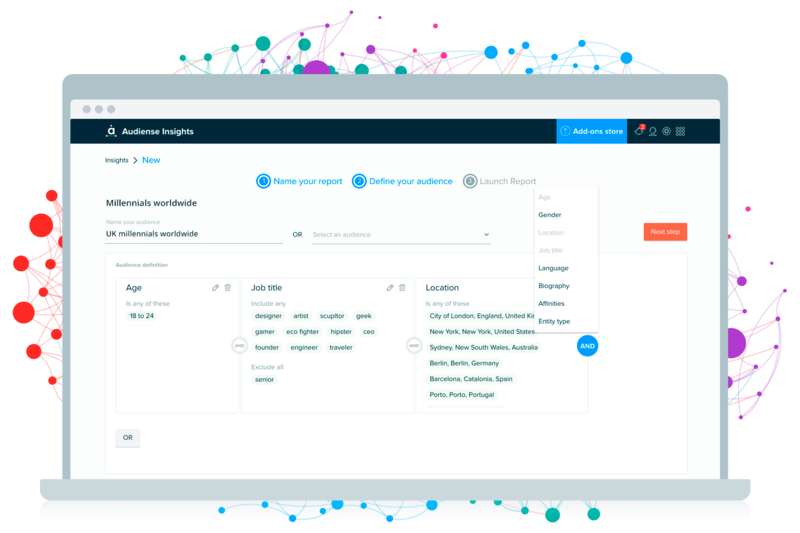 Do you want to integrate Audiense Insights with your own data or visualizations? No problem, we make it easy. Simply export your reports to PDF or PowerPoint formats to use the most relevant insights about your audiences in your presentation decks. Demographics such as countries, cities, how they describe themselves, names. Content from social channels (Facebook, Instagram and Twitter) and the websphere. Create benchmarks with different segments, countries or even other competitors. Compare segments with baselines and other audiences. Understand the personality and factors that influence your audience’s purchase decisions. Starting from $696 per month, create up to 5 Insights Reports at a time and scale based on your needs.